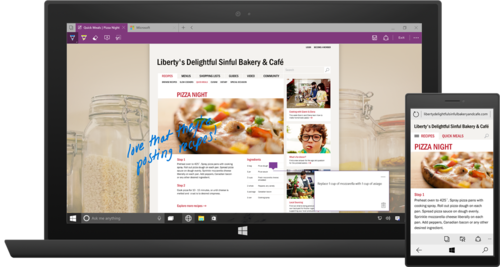 Microsoft's universal app platform is big play for mobile, but can it deliver? If Windows 10 is key to Microsoft's effort to succeed in mobile, then the universal app platform is the technology that could make that happen. It promises to bring developers the cross-device nirvana they have long sought from Microsoft, but there are still challenges before Windows 10 can make headway against Android and iOS. The universal app platform aims to let developers build one application that will work on PCs, tablets, smartphones, even the Xbox. It's not a new concept for Microsoft, but the company insists that this time around it has got it right. "The platform enables a new class of Windows universal apps -- apps that are truly written once, with one set of business logic and one UI," said Kevin Gallo, Microsoft's technical lead for the Windows Developer Platform, in a blog post this week. It's a big promise, one that Microsoft will need to fulfill if it's to make headway in the important mobile market. According to a recent report from IDC, Windows Phone's share of the worldwide smartphone OS market fell to a paltry 2.7 percent last year, from 3.3 percent in 2013. Part of the logic behind the Universal App Platform is this: Developers have no incentive to write for a mobile OS with a minuscule share of the market. But if they can reuse most of their code, and enjoy other synergies that come from tightly aligned platforms, it's a short hop and a skip to building compelling apps for the mobile version of Windows 10. Analysts are still skeptical, however. The plan sounds good on paper, but why should a developer pursue a new programming model when the payoff will still be writing apps for a platform that has almost no users? "Having one platform for everything sounds like a dream, but I'm not sure that developers will bite," said Roger Kay, founder and president of Endpoint Technologies. "Developers don't go to platforms where there aren't any users. If Microsoft has a party and no one comes, people don't end up caring. It's a chicken-or-the-egg scenario." Michael Facemire, principal analyst at Forrester Research, doesn't expect Microsoft's new platform to hit it big with individual developers, either. "It's not really worth it to them to expand into a new platform, because we're not seeing a take-off of the phones and Surface tablets in the consumer space," he said. "If I were already developing a Windows tablet app or considering a tablet app, it's nice because now I get Surface and phone support. But I don't believe it'll take off in the consumer space." Still, it's hard to count out a company with huge resources and a new CEO who finally seems to understand the new world order. Microsoft's Gallo described some of the capabilities that will enable developers to engage customers across devices. These include adaptive UX, including considerations for screen layout and user controls; natural user inputs, such as speech, inking, and gestures; and cloud-based services, including Cortana AI, OneDrive and Applications Insights. As Gallo explains it, the mobile experience has been mainly about the devices themselves. What users want now is a mobile "experience" that follows them regardless of the device they're using, so interacting with an app on their PC flows naturally over to the tablet when they switch to that device. It's highfalutin talk, and it's what Microsoft says it's enabling with the universal platform. But Facemire says there are questions about how effectively the cross-device strategy can work, especially when it comes to user interface elements. "There's no reason why you can't come up with a developer platform that will allow you to build apps on laptops, phones and tablets," he said. But how users want to accomplish a task on a phone will vary significantly from how they would get there on a laptop, he said. "Even though I have one code base, there are so many conditions that I go down only if I'm on a certain device. Supporting the use cases and interaction-types in a single code base, without making it so conditional, will be their biggest challenge." Microsoft will provide more technical details about its universal app platform at its Build conference in April. Should it realize the vision, the upshot will be significant, Facemire said. "If this does work, people will be building apps for phones without targeting the phone," he said. "We've seen ecosystems drive hardware adoption. Microsoft and BlackBerry don't have great ecosystems. If this succeeds, the positive momentum will expedite Microsoft's success in mobile."